Fabulous birthday gift for Dad or Fathers day gift. Custom made for you in our Dublin workshop from sustainably sourced Maple wood. 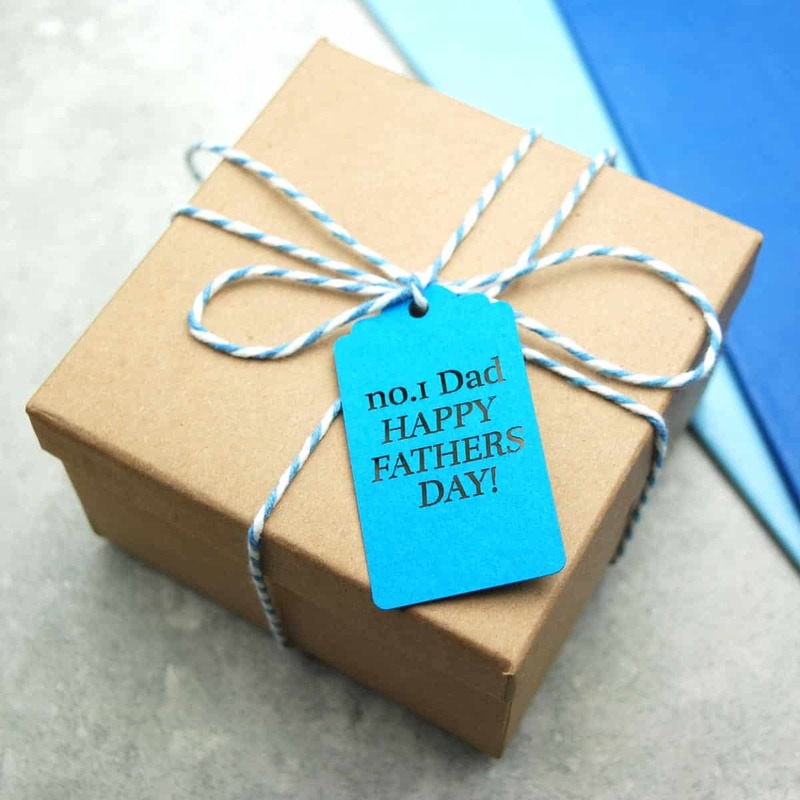 An ideal present from the children to Dad this Father’s day. Perfect for a dad who loves travel or a frequent traveller. 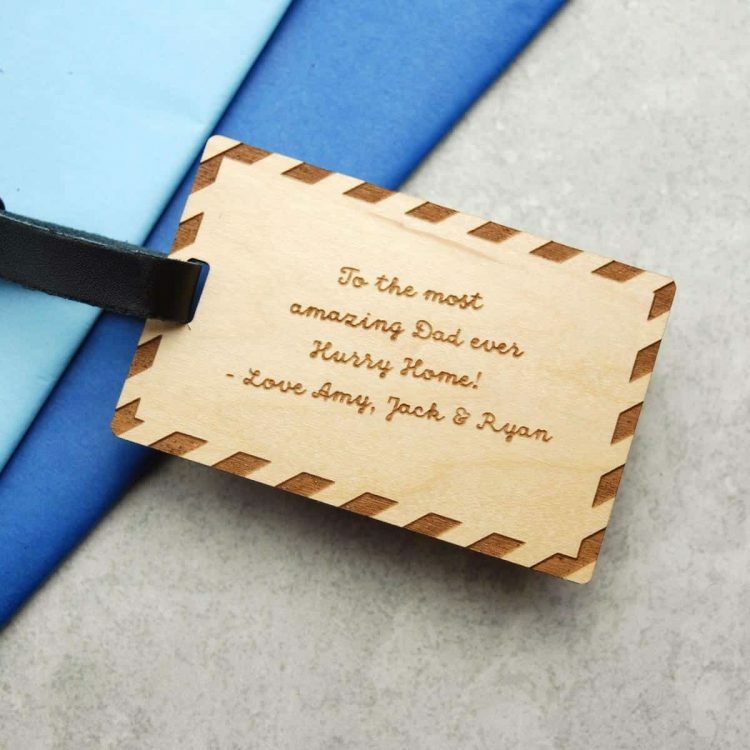 Dad’s name is engraved on the front along with the phrase “Superdad to…” and here you can add child or children’s names. On the back add a special message from the kids or Happy Fathers day or any message of you choice. He will wear this luggage tag with pride on his suitcase or bag when travelling as a lovely reminder of who is waiting at home! 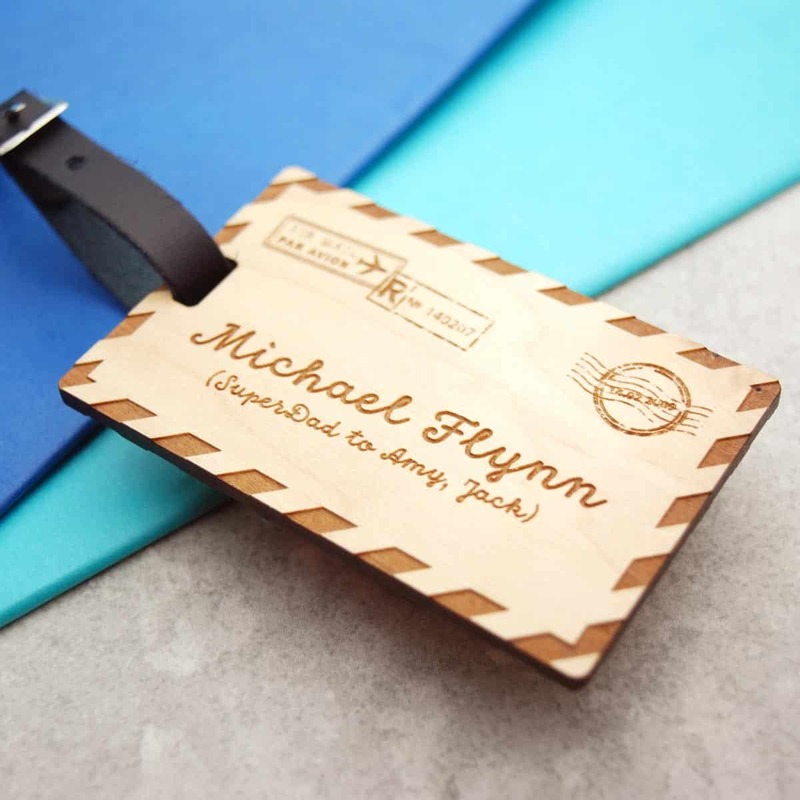 The luggage tag is packaged in a branded gift box and is attached to a short leather strap with a metal buckle. This allows him to easily and securely attach it to his bag or suitcase. The tags measure 85mm x 55mm and the leather strap has three holes allowing it to be fastened at different lengths. Additional tags available for €7.50 if ordered same time.